1300 Edgewood Ln, Northbrook, IL, 60062 - Photos, Videos & More! Live your best life here. 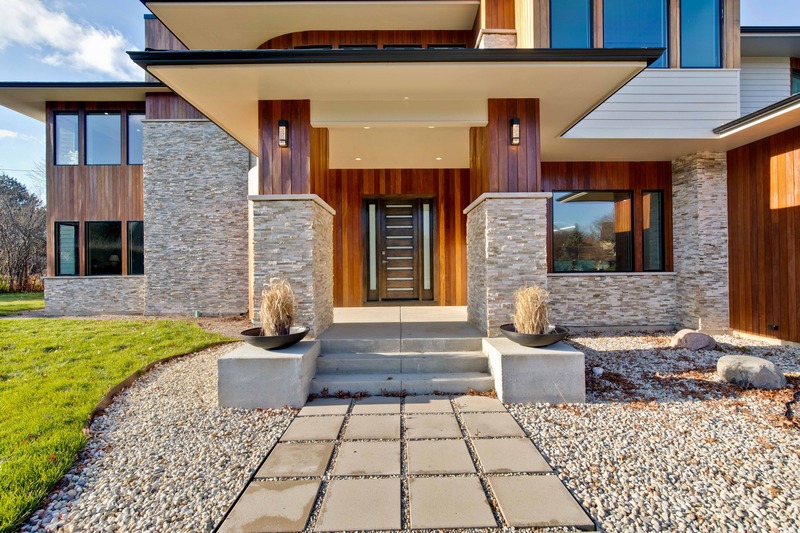 Be house-proud in this modern luxury, new construction, inspired by Frank Lloyd Wright and updated for the 21st Century. Designed for contemporary taste and comfort, and built in a setting so perfect, deer may visit from acres of surrounding forest preserve. Secluded and yet shops, dining, trains, highway access are all nearby. Soaring, 2-story home with almost 8,500 square feet of living space, on .8 acre, corner lot. Move everyone into 6+ bedrooms, 6-1/2 bathrooms and open, flexible living spaces. Gather in 2-story great room around custom 2-story fireplace. Savor dinner in your formal dining room with butler's pantry. Entertain around 64 sq ft quartz kitchen island. Retreat to master suite featuring blissful spa bath, and sitting room for intimate together time. Laze or game around finished basement with cozy, heated floors. Or, lounge in your outdoor living room with wood burning fireplace. Attached garages for 3 cars. You will live your best life here.